The deadline for migrating to the new framework is end January. What's the logic behind the new tariff structure? According to the government, TRAI's new regulatory framework for broadcasting and cable services will provide "freedom of choice" and offer subscribers of cable, multi-system operators (MSOs) and DTH services "direct control" on their monthly TV bills. The past few weeks have seen all the TV networks announcing their respective a la carte pricing and the major broadcasters have come up with their own bouquets that attach non-performing or less-popular channels with the driver or flagship channels. Cable operators have also started to release individual channel prices lists as well as combos to make it easier for subscribers to choose channels packs, The Indian Express reported. In March 2017, the telecom regulator had notified the new regulatory framework for Broadcasting and Cable services and re-notified it on July 3, 2018, directing all the service providers to complete the preparation for migration to new framework by December 28, 2018. However, last week, TRAI extended the deadline to end-January in order to facilitate all service providers to migrate their 150 million subscribers from the old framework to the new one without causing inconveniences or any interruptions. "All existing packs/plans/bouquets to the subscribers will continue uninterrupted till January 31, 2019. No service provider to disconnect any signal or feed to any MSO/LCO (local cable operator)/subscriber till January 2019," TRAI said in a recent statement. It added that the distribution platform operators (DPOs) will devise their own mechanism to reach out to all the subscribers and seek options from subscribers. DPOs need to migrate all subscribers to the new framework with effect from February 1, 2019. What happens if you don't meet the deadline? 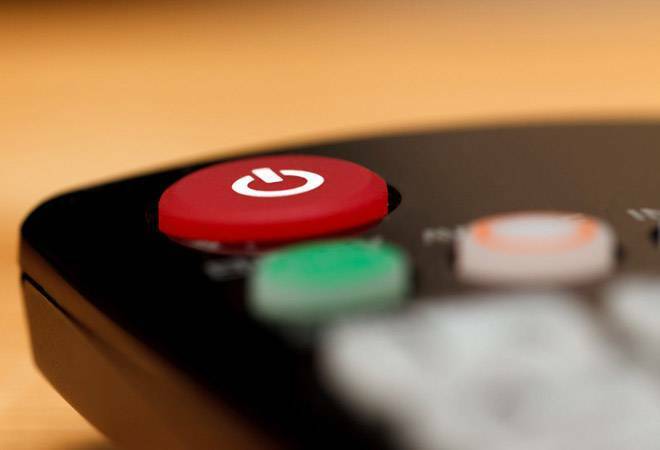 Although TRAI has insisted that there will be no blackout or disruption of TV services due to the order's implementation, TV viewers are advised to stick to the deadline to avoid any nasty surprises come February. "Keeping in view the interest of the subscribers, and to enable a smooth transition, the Authority is preparing a detailed migration plan for all the existing subscribers. The migration plan will provide ample opportunity to each and every subscriber for making informed choice," the regulator said last week. Will watching TV get more expensive under TRAI's new tariff structure? According to certain media reports, the new structure was likely to send customers' monthly cable or DTH (direct-to-home) bill shooting up, especially in the smaller cities and towns. However, TRAI Chairman RS Sharma last month made it clear that the new framework will reduce overall prices for consumers, raise transparency, and act as a "cleansing exercise". He explained that the regulator has barred fixed fee deals, and the revenue streams will now be completely synced with the number of viewers of a channel. Under the new tariff structure, all users need to subscribe to base channel pack, which will reportedly cost around Rs 154, including taxes. This pack will give users access to a total of 100 channels that users can choose from a list of 500 channels. The daily added that it will also include 26 channels from Doordarshan. Then there are the more expensive HD combos. For instance, Airtel's Magic HD ROI Topup is priced at Rs 93 per month while Hathway's Royal HD pack is priced at Rs 466.10 per month. "This is a great framework which has been validated by the highest court of the land, but there are certain stakeholders who are trying to create misconceptions that consumer bills are going to rise. It is bogus," Sharma said, adding that the "hyperbolic fear" that consumers will have no choice under the new structure is baseless. "Also, on our website we have created certain different packages for different markets to demonstrate that the prices will not increase in any of the markets," TRAI Secretary SK Gupta told PTI last month. Call your service provider or visit their website to learn more about the packs on offer and how to subscribe.